The new program talked about at the start of this video did not work. In the fall of 2016 an emergency gather was held. 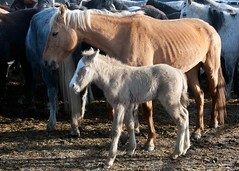 The Wild horse & Burro Program is doomed to failure by the Wild Horse & Burro Act of 1971. The Burns Amendment offered a way to make the Program work but Congress has prevented the Wild Horse & Burro Program from taking advantage of the amendment. 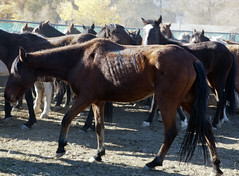 The Program will continue to fail until Congress allows it to sell horses without restriction OR FUNDS THE REMOVAL AND STORAGE OF THE EXCESS HORSE ON THE RANGE. 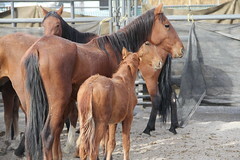 Just today I had a wild horse advocate tell me, “you are no friend to animals.” My reply is, “Any of you who are not pressing congress to either allow sales or come up with adequate funding are the ones that are no friend of animals (the horses).” You allow them to starve, die of thirst and suffer, I want to get them out of there and stop the suffering. Compare the grasslands, a horse’s natural habitat, to the desert pastures of the Great Basin.